I took this photo last fall at an anti-Tea Party demo in Washington, D.C. I brought it out today in light of President Obama's overtures to the U.S. Chamber of Commerce. 1) Increased the National Debt by 189% ($998 billion to $2.6 trillion) no one else comes close. 2) Converted millions of highpaying union jobs into low paying nonunion jobs. 3) Cut spending on healthcare leaving exservicemen, disabled people, and the old without any support and left to rot on the streets. 4) Doubled the number of poor in the country. 5) Turned the US from the major exporter of manufactured goods in the world to the major importer of manufactured goods. 6) Turned the US from a net importer of raw natural resources into a nation that exported raw natural resources (just like a third-world country). 7) Funded terrorists and tried to trade arms for hostages. 8) Funded and added Saddam with his WMD. 9) Reagan encouraged corruption, allowing companies to sell $25 toilet seats to the military for $360 and $8 hammers for $120. 10) Reagan cut income taxes on the working class but increased payroll taxes and the mandated contributions to Medicare and Social Security but did so in such a way that the top 1% paid 15% less than they did before by limiting their deductions on the first $61,000 but the working poorest had theirs increased 15%. 11) Reagan took a staggering 436 vacation days at his ranch in 8 yrs. 12) Allowed Rupert Murdoch to circumvent the immigration laws to purchase American media sources. one of the world’s last great living mid-century artists had died. In the music and artworlds, there are very few left. 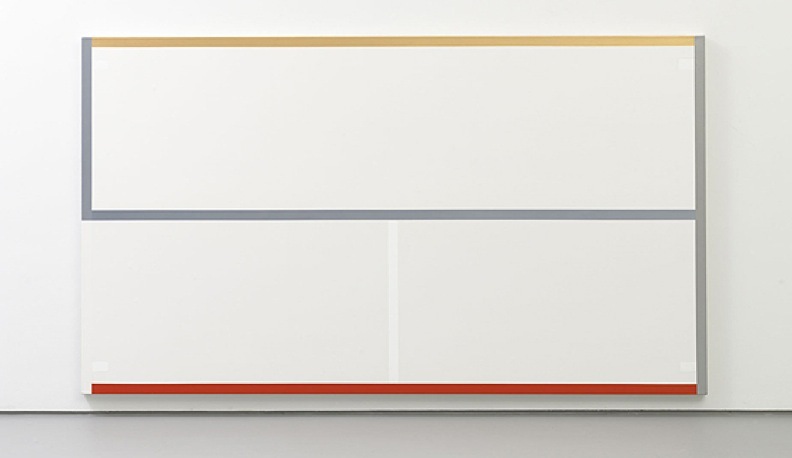 Elliot Carter and Pierre Boulez come to mind in music, as well as Jasper Johns, Robert Ryman, Helen Frankenthaler, Ellsworth Kelly and Cy Twombly in the visual arts. They were all born in 1930 or before. 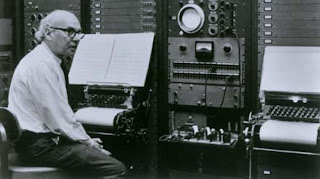 Babbitt was the father of Serial music in the United States which was being developed simultaneously in Europe in the late 40s and early 50s, by Pierre Boulez and Karlheinz Stockhausen. Unlike Boulez, Babbitt would remain loyal to Serialism to the end of his life. His infamous essay for High Fidelity magazine in 1958, “Who Cares if You Listen?” (not his title) was viewed by many as an elitist disdain for the mass audience. But it was actually an impassioned statement that some music needed the same kind of expert ears to listen to it as the latest advances in physics or mathematics would. He stated that both the average man on the street and even the typical Lincoln Center concert goer already had their music but that his job as a composer was to raise the standards of music, not make it accessible to everyone. Babbitt was the high priest of the monastery of modernism. I have been fascinated by Babbitt for decades. His music is as inscrutable to a laymen like myself as any could be. He was the last Serialist which is like being the last Stalinist. But he was no Kim Jong Il, but instead a charming man with many passions. This is evident in a brand new posthumously released documentary on Babbitt by the late Robert Hilferty and completed by a former Babbitt student UCLA professor Laura Kaupman. I have watched it two times in the last few days. See the link below to watch this extraordinary film which hopefully will be picked up by the American Masters series. It is interesting that the world of serious music is not comparable to the artworld in terms of monetary rewards. All the aforementioned visual artists are wealthy whereas Babbitt was a university professor for nearly 50 years. Millions more have seen a Johns than have ever heard a Babbitt work. Yet his contribution to the field of music is probably larger than any of those visual artists made to art. Babbitt saw his own music as the continuation of a certain Germanic tradition which began with Brahms and continued through Schoenberg, Webern and himself. Watching the new documentary I noticed at times the filmmakers used examples of abstract painting (Hoffman, Kline) to illustrate Babbitt's music. But an abstract painting can never be as difficult for an audience as music like Babbitt's. One can always spend as little time as they want in front of a painting or sculpture and move on. Music, however, is temporal. It demands one's time and if the payoff is not evident at some point, most people check out. The closer analogy is to experimental/abstract film and here the documentary sets some of the music to the films of Harry Smith who created abstract animations. Here the temporal aspect of film echoes the one in music. Another interesting point about the new Babbitt film is that Babbitt calls himself a "maximalist." He wanted no repetition in his music and every sound was to be a new musical landscape. This is where it gets difficult for the listener. When there is no repetition it becomes hard to follow, just as if there's too much repetition some may lose interest as composer John Corigliano explains. One of the most telling moments in the film is when Babbitt briefly discusses mortality and references his most famous student, and unlikeliest, Stephen Sondheim. Babbitt repeats that for Sondheim it doesn't matter what will happen to his own music once he dies because Sondheim says he won't be there to see the reaction on people's faces to his music. Babbitt takes a different more pragmatic tack and for him, he won't care about his music after he's gone since he himself won't be there to hear it. 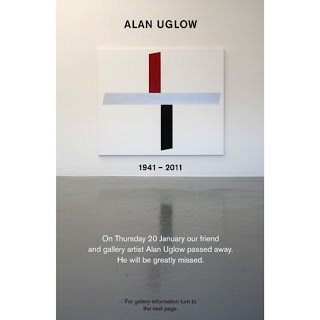 I have been swamped with emails regarding my post on the death of Alan Uglow who died on January 20. There is a lot of news to report. I have been informed that a memorial is being planned for April in New York. Also, Roberta Smith's Times obit article should be appearing in tomorrow's paper according to an email I received from Milco Onrust who is the owner of Galerie Onrust in Amsterdam where Alan's last show closed on January 22. Their website has an extensive survey of Uglow's past 20 years of artmaking. Click on the link below and take the 50 image tour.